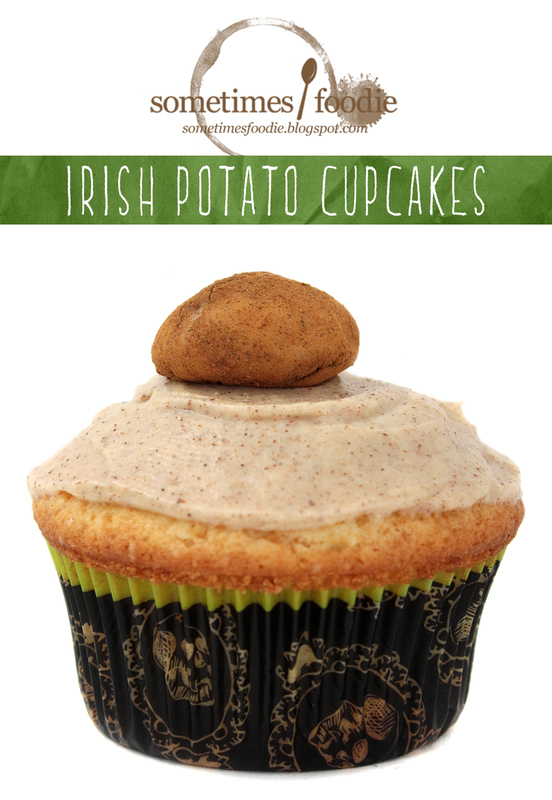 Sometimes Foodie: Irish Potato Cupcakes - My Recipe : Happy Saint Patrick's Day! Irish Potato Cupcakes - My Recipe : Happy Saint Patrick's Day! This is a recipe I have been making since 2009. I originally whipped these up for an Art Students League bake-sale, and they were such a hit that I've been making them every year since. I think I might have been the first person to make Irish Potato themed cupcakes and post them to the web, since I couldn't find any other recipe for these online in 2009, but I could be wrong. Anyway, there seem to be a few variations out there now, but mine is still a bit different. So, here it (finally) is! 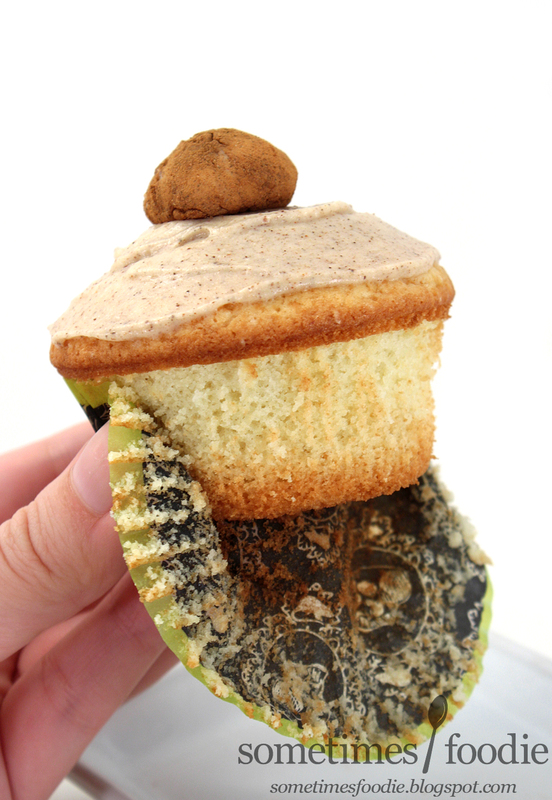 My Irish Potato Cupcake Recipe. This recipe makes one dozen cupcakes. Preheat oven to 350 degrees F. In a large bowl, sift the flour, baking powder, and salt together. Mix well, and set aside. With an standing (or handheld) electric mixer, beat the butter and sugar together until they are light and fluffy. Add room temperature eggs one at a time, beating well after each addition. Next, add the cream of coconut and the coconut baking essence (or extract). Mix until all the ingredients have been combined. By hand, fold in half the flour mixture, followed by milk; end with remaining flour mixture. Fold gently until incorporated. You want to keep things nice and fluffy. Line a 12-slot cupcake baking tray with paper liners. Fill the liners with 3-rounded tablespoons of batter. 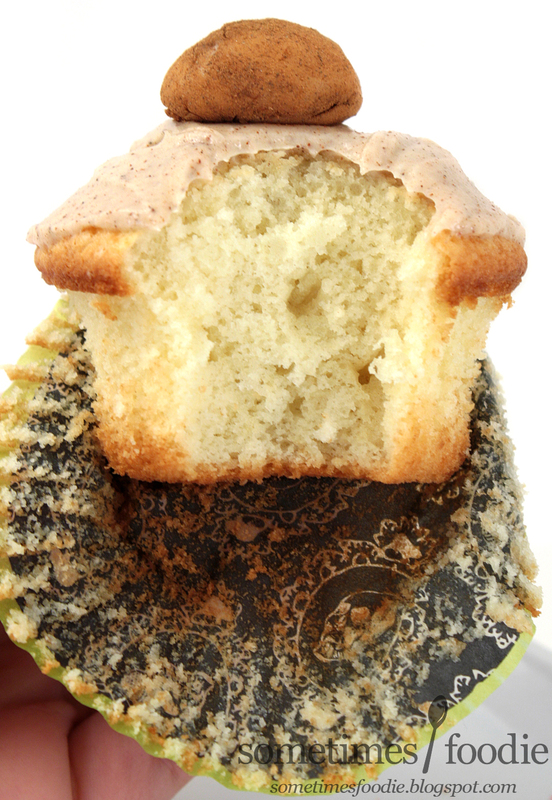 Bake until a toothpick inserted in center of a cupcake comes out clean, 20 to 22 minutes. OPTIONAL: Once removed from the oven, coat the top of each cupcake with two tablespoons of the cream of coconut. On a low setting with a standing (or handheld) electric mixer, blend the cream cheese, butter, and sugar together until combined. Add the cinnamon essential oil (or extract) and the ground cinnamon. Blend the mixture thoroughly.